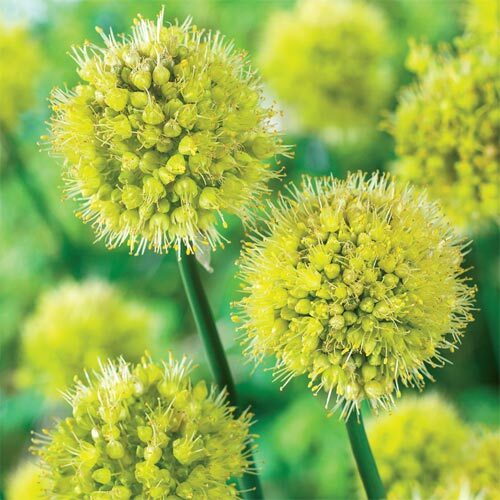 An unusually-colored allium with lots of small, pale yellow-green perfectly formed star-shaped flowers. Perfect for pairing with a dark background. Carefree and rewarding! Alliums offer a wide diversity of color, height, and blooming times. 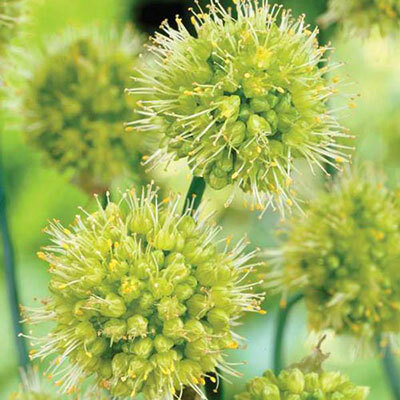 They will tolerate poor garden soil; once established they will naturalize easily. Alliums are deer resistant and make excellent cut flowers.